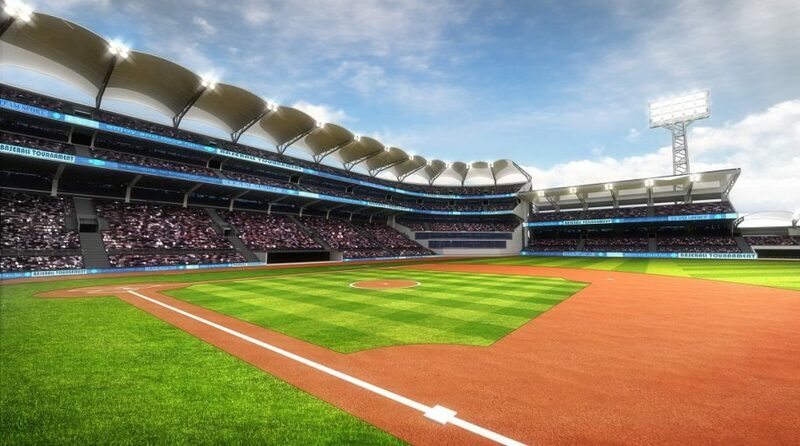 You are at:Home»ETF Strategist Channel»Could the Growth of ETFs Be Bad for Baseball? In light of a difficult market in 2018 and despite positive flows, ETFs assets and revenues were down only slightly for the year. 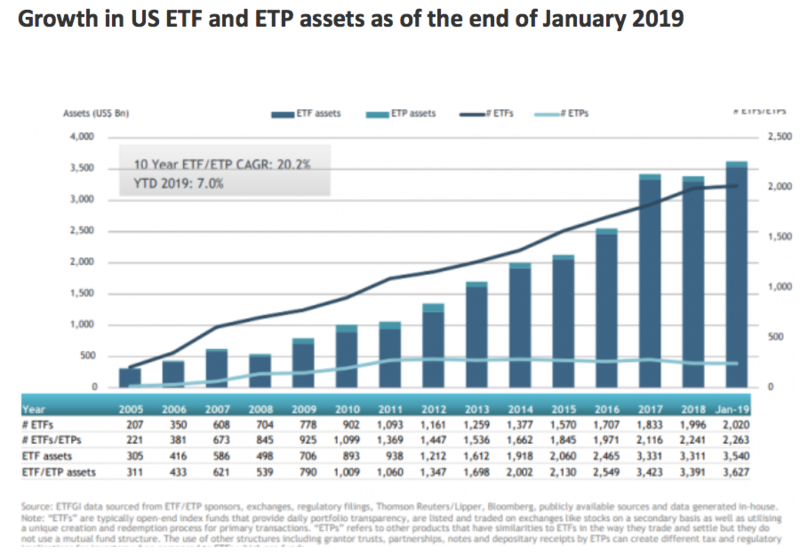 That said, 2019 appears to be business as usual for the industry with US ETF assets up 8.5% as of 3/11/2019, and according to ETFGI, the ten-year annualized growth rate remains consistent at about 20%. In this week’s research, we again embrace the transparency growth factor of ETFs with a look at an updated tool from our ETFthinktank.com. One of the key performance indicators we look at each week is the percentage ownership of each US equity by ETFs, and then derive an average score which is currently 6.8%. We have expanded our database to calculate the same ratio separately for mutual funds at 20.7%. Theoretically, this information provides an indication of how ETF and/or mutual fund flows could affect the price of an equity or group of equities. In the example below, we look at a company with one of the highest discrepancies of ownership by mutual funds versus ETFs. What Does That Have To Do With Baseball? 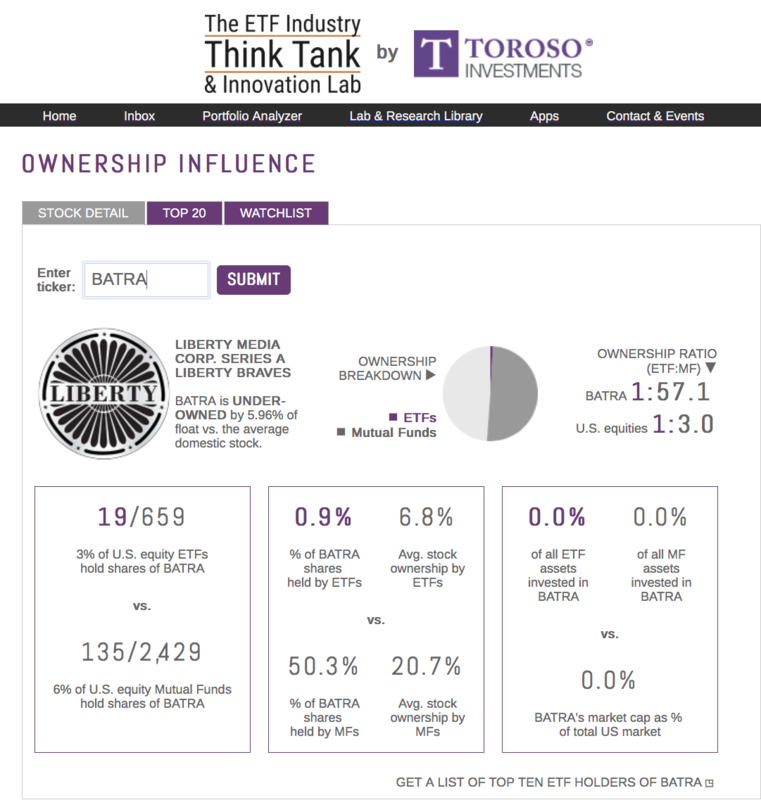 Liberty Media Corp, Series A Liberty Braves (BATRA) is the publicly traded tracking stock that owns the Atlanta Braves. About 50% of the BATRA shares are held by mutual funds while less than 1% are held by ETFs. Thus, the implied question: Could flows from mutual funds to ETFs cause selling pressure on the stock of the Atlanta Braves? The BATRA is simply just one extreme example, but the question remains; how can ownership by ETFs and/or mutual funds impact equities? Within the ETFThinktank.com, we looked at the ownership by mutual funds and ETFs of the top 10 stocks in the S&P 500, 400, and 600. Since each index represents a different market cap segment, we may garner insights to whether large, mid, or small cap companies could benefit from ETF flows. The large cap companies appear to be under-owned by both ETFs and mutual funds relative to the average in similar percentages. As result, flows between mutual funds and ETFs don’t appear to materially affect these large companies. The mid-caps tell a very different story, both ETFs and mutual funds hold an above-average percentage of these equities. However, mutual funds own a disproportionally higher percentage of these mid-caps than ETFs. Therefore, continued flows from mutual funds to ETFs could create selling pressure on mid-caps. The results from the small-caps were surprising in that, although both ETFs and mutual funds both over-own small-caps, the percentage of over ownership appears to be similar. Theoretically, flows from mutual funds to ETFs should have little affect on the prices of small-caps. Transparency is one of the driving factors of growth for the ETF industry. Within our ETFthinktank.com, we are committed to working with the industry to research and consolidate this transparency to further ETF growth.